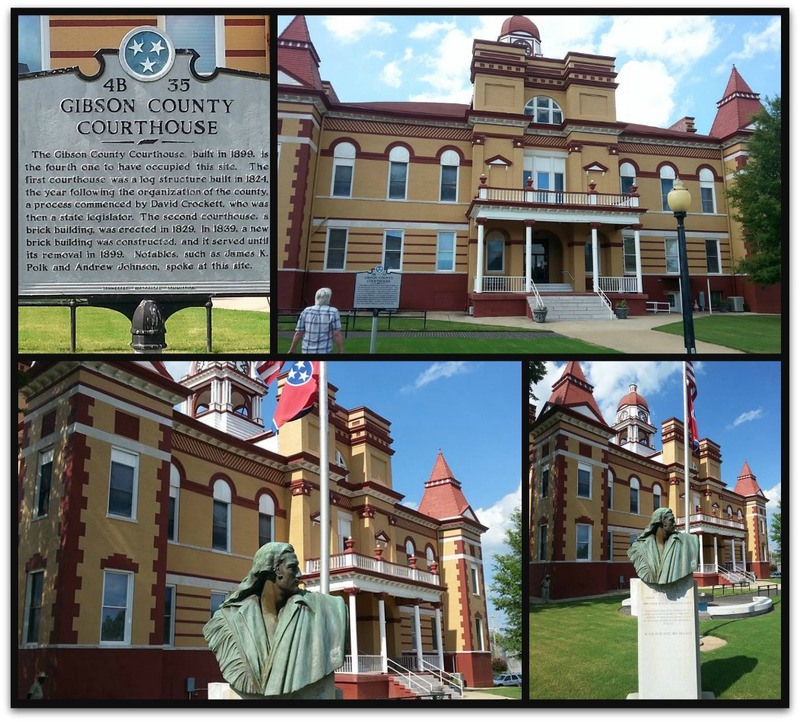 Gibson County, Tennessee is the location I chose for the Kinsman Redeemer series. 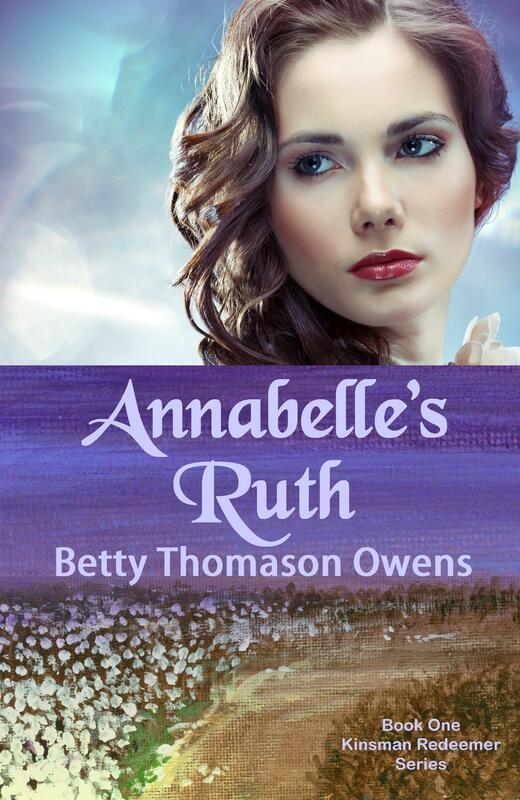 Annabelle’s Ruth, the first book in that series, takes place almost entirely in Gibson County–specifically–Trenton, Tennessee. Trenton is the county seat and one of the three main towns in Gibson County. I recently returned from a trip to the area. 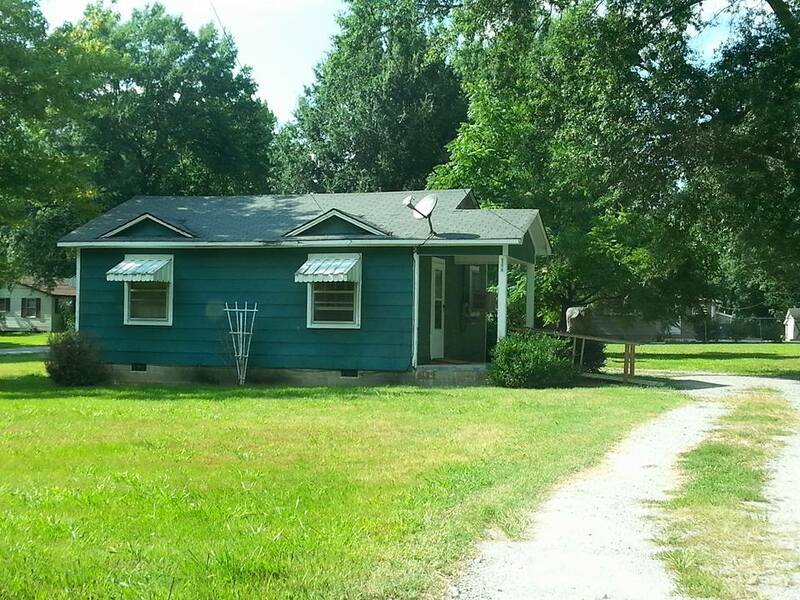 This photo shows the house my family rented in Trenton (a number of years ago–not telling how many years). Guess what? It’s still a rental! There was a “For Rent” sign in the yard. The weeping willow tree I used to climb is gone, and the green color of the house has changed from a pale green to a brighter, darker one, but little else has changed. Of course, there was no ramp or satellite dish in those days either. There were only two bedrooms in the house, so I–the only girl in the family–got to sleep on the built-in back porch. How many girls get to have a washer in their bedroom? The porch wasn’t insulated, so in really cold weather, I slept on the couch in the living room. After visiting our little house, we headed for the town’s centerpiece – the elegant Victorian-style courthouse. 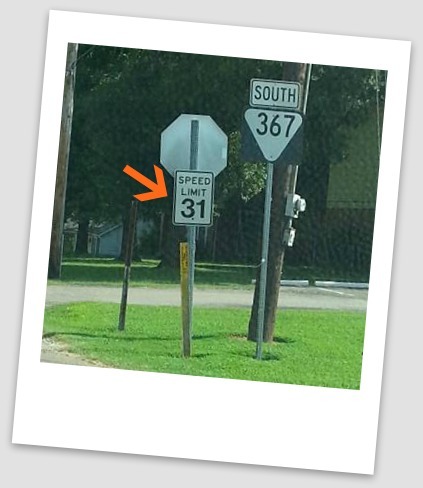 On the way, we passed this speed limit sign, mentioned in Annabelle’s Ruth. Trenton has tons of interesting history, including David (Davy) Crockett. He was an early resident statesman who started the process to organize the area into Gibson County. In those early days, the courthouse was a log cabin. The present courthouse was erected in 1899. Note: In these photos, the flags are at half-staff to honor the fallen soldiers in Chattanooga, Tennessee. After leaving the courthouse, we took a little tour of the town and it’s lovely old houses, including the one pictured below, which I used as a model for Jensen Wade’s house in Annabelle’s Ruth. 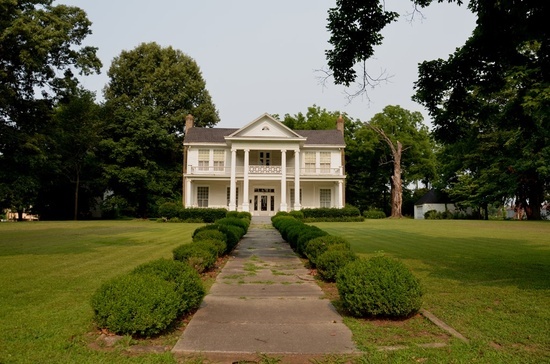 It’s a Greek revival style home built in 1831. It was said the residents stood on the balcony and watched the Battle of Trenton during the Civil War. Oh, by the way–this one’s for sale. You can see inside it and check out the details here. Present-day Trenton is a pleasant little town of approximately 4,300 residents in a mainly agricultural community. But the town does boast a world-famous collection of Night Light teapots. You can view them on display and read their history here. After our little tour, I paid a visit to the Gibson County Memorial Library and librarian Connie Bates. She has now read Annabelle’s Ruth and told me she loved it, especially the familiar places referenced in the story. The library has a copy of the book, and I’ll be returning in the future to speak to the local book club. Now I’m all set to begin the second novel in the Kinsman Redeemer series with scenes of the home town fresh in my mind. The cotton is tall and green in the fields, the temps this past weekend topped 100 degrees. Ah, West Tennessee summers! So fry up some fresh okra and put the cornbread in the oven. Call me when dinner’s ready. I can’t wait to see what happens to Annabelle and her family next. 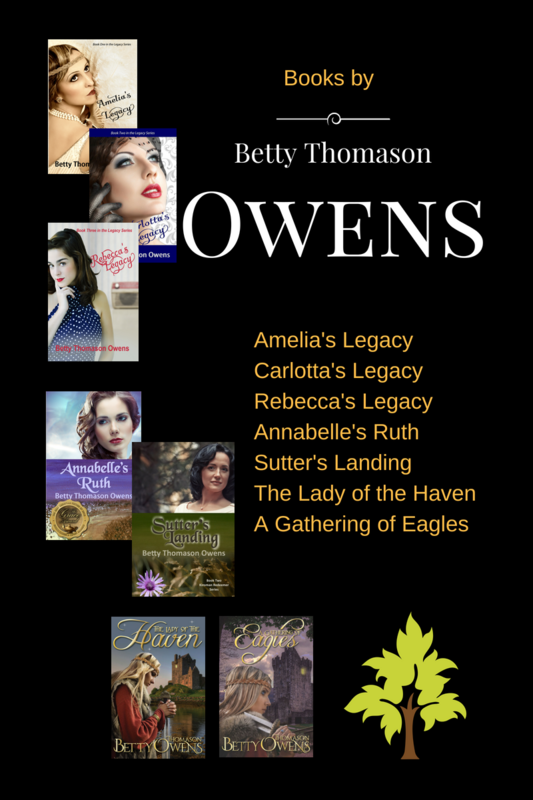 Annabelle’s Ruth is available on Amazon.